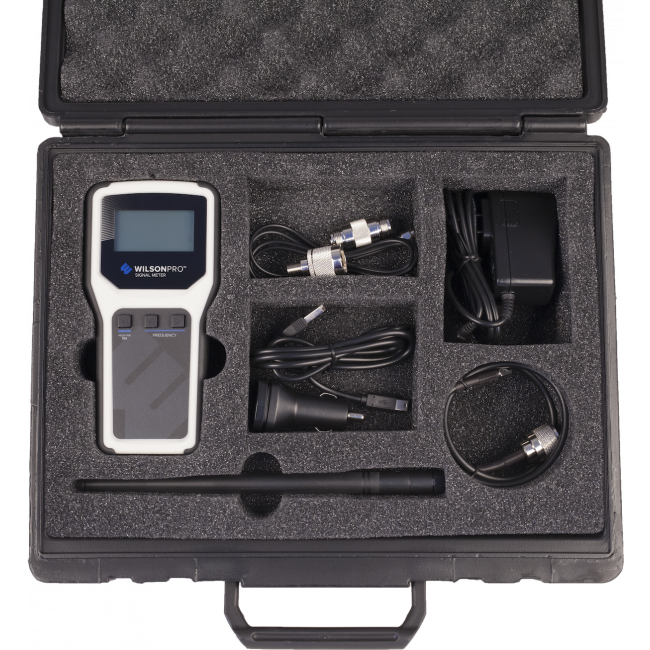 This is a professional grade signal meter kit for signal booster installers that can be used to conduct site surveys and aim directional outside antennas. It can measure all major bands used for cellular signals in the United States including those used by 4G LTE. Includes accessories and carrying case. The WilsonPro 460218 RF Signal Meter Kit is a necessary item for any professional signal booster installer. 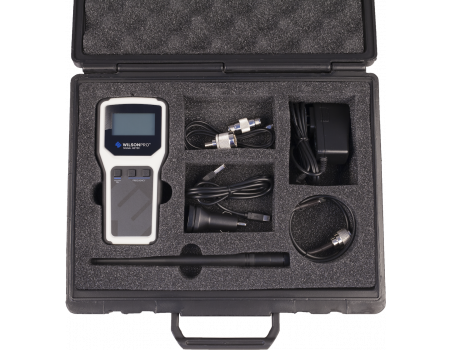 The included meter allows you to take signal readings for all frequency bands on all of the major carriers, and the additional accessories ensures that you're prepared to meet any situation. All of these items are stored in the included padded case. 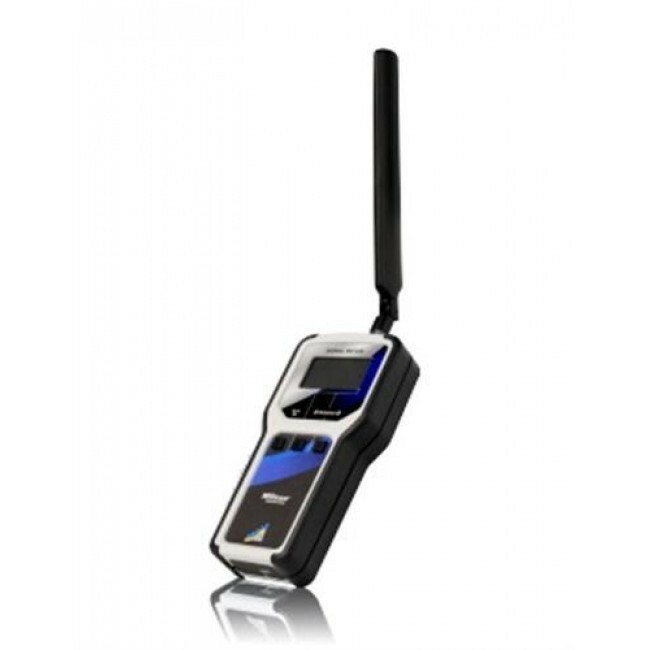 The RF Signal Meter also features an integrated rechargeable battery allows for maximum portability while the large LCD display and push button operation takes the hassle out of site surveys. Read the Wilson Pro Signal Meter Spec Sheet for more information. The Yagi Directional Antenna and Pole Mount are highly recommended to pair with the RF Signal Meter for more precise signal readings and the ability to isolate the direction that best cell signal is coming from. The Yagi Antenna connects to the meter with the included cables in the RF Meter kit. A 20% restocking fee will be applied to all returned signal meters.